The dark, moody, and mystical fantasy begun in Thorn Jack, the first novel in the Night and Nothing series, continues in this bewitching follow up–an intriguing blend of Twilight, Buffy the Vampire Slayer, Alice in Wonderland, and A Midsummer Night’s Dream–in which Finn Sullivan discovers that her town, Fair Hollow, borders a dangerous otherworld . . .
Serafina Sullivan and her father left San Francisco to escape the painful memory of her older sister Lily Rose’s suicide. But soon after she arrived in bohemian Fair Hollow, New York, Finn discovered a terrifying secret connected to Lily Rose. The placid surface of this picture-perfect town concealed an eerie supernatural world–and at its center, the wealthy, beautiful, and terrifying Fata family. Though the striking and mysterious Jack Fata tried to push Finn away to protect her, their attraction was too powerful to resist. To save him, Finn–a girl named for the angels and a brave Irish prince–banished a cabal of malevolent enemies to shadows, freeing him from their diabolical grip. Now, the rhythm of life in Fair Hollow is beginning to feel a little closer to ordinary. But Finn knows better than to be lulled by this comfortable sense of normalcy. It’s just the calm before the storm. For soon, a chance encounter outside the magical Brambleberry Books will lead her down a rabbit hole, into a fairy world of secrets and legacies . . . straight towards the shocking truth about her sister’s death. Look at me! I’m doing that thing where you review two books in a series back to back because you enjoyed the first one so much! And like the last time I did this, the second book wasn’t quite as good as the first. First a caveat: do not try to read this without having read Thorn Jack as this book picks up almost immediately after the last and heavily references it – you may want to do a reread first if it’s been a while. That out of the way, let’s get to the heart of why I don’t think Brian Queen works quite as well the first novel: the action leaves our Earth and move to the land of the fae. On the one hand, the creativity that I loved in the first book remains. On the other hand, I think it was more interesting watching Finn and her friends navigate figuring out what is going on than this more action-oriented books. That book had a lingering sense of dread that nothing was quite right, but you couldn’t put a finger on what that was. Here you know nothing is right and that certainty does a larger difference than you may think. I also think that by having the focus being more on the Fata than the humans doesn’t quite work. On the one hand, it expands the mythology greatly. On the other hand, you just don’t care about the Fata the way you do for Finn and her friends, so it’s harder to get invested. Night and Nothing is a trilogy and I already have the DRC of the final book in my possession. While I’ll definitely be finishing off the series, I’ll be honest I’m not entirely sure that I would if I didn’t. The series just lost a little bit of that magic this time around. I hope that it can be found in the final book. Before I get this review going, have some music to go with it: it’s from a feature-length anime called Le Portrait de Petit Cossette, which had a lovely gothic atmosphere running throughout, much like this book. Thorn Jack is dark fantasy telling the story of Finn and how she’s slowly brought into the world of the Fata’s and her attempts to get back out – life and sanity intact. One of the things that Harbour does really well is that you never feel safe in this world. Never once do you ever really buy that Jack is a viable candidate for a boyfriend. We’re not talking about someone like Edward or Angel where they make token protests about not being good for you, but never fully push away their girlfriends either – Jack consistently tries to pull himself away knowing that it isn’t good for either one of them. His so-called family, the Fatas, is this constant menacing threat. Beautiful, ethereal and deadly, there is every sense that humans are their playthings and nothing more. These are definitely not the Tinker Bell type of faery. The prose in this novel is absolutely lovely, and really helps capture that dreamy feel. I have seen some complain about conversations that don’t seem to take logical turns, and I think that’s unfair. Those conversations are deliberately awkward as characters try to avoid conversations they rather not have. There’s also quite a bit of quoted poetry here and it doesn’t feel pretentious, it just fits in well even though it should feel out of place. 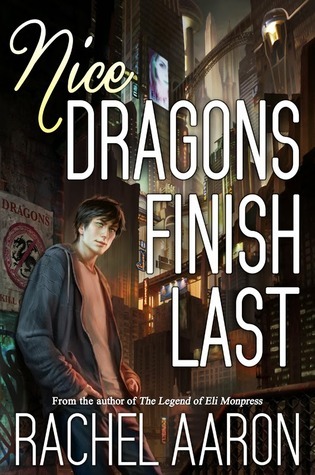 Finally, this series is interesting because the series description on Good Reads calls it young adult – but I (and Barnes and Nobles) heartily disagree. That’s not something you see often. If you like dark fantasy, if you like gothic fantasy, pick this one up. Now that I’ve read it, I absolutely plan to go back and not only make a second go of the second book (which I had to put down because I was simply too lost without having read this one) and quite possibly the third one coming out in 2016. It’s simply lovely. I’ve apparently started stocking up on DRCs the last few weeks, so what better time to catalog them all. Let’s begin. The one non-ARC on this list. I did say I’d get around to reading this at the beginning of the year, didn’t I? It’s taken a while, but I’ve finally done it! It’s my next read. I haven’t read the other Sigma Force novels, but the premise of “Jurassic Park but with humans” has me intrigued. This batch is really a mixed bag. We have YA Paranormal Romance (These Vicious Masks), YA Paranormal (Divah), an anthology (I’ll let you guess which one), two third books (Nettle King and Angelus) and the preview to one of the most anticipated YA titles of 2016. I’m honestly kind of worried about that last one – the hype is so strong I’m already seek of seeing it and I’m hoping that it doesn’t ruin my enjoyment of the book. We shall see. So what about you? What are you adding to your shelves? It was just another Tuesday morning when she walked into the office–young, as I suspected they all might be, another dark brunette with some assistance and enough eye black to match up to Cleopatra. And who am I? I’m Ray, the world’s last robot, famed and feared in equal measure, which suits me just fine–after all, the last place you’d expect to find Hollywood’s best hit man is in the plain light of day. Raymond Electromatic is good at his job, as good as he ever was at being a true Private Investigator, the lone employee of the Electromatic Detective Agency–except for Ada, office gal and super-computer, the constant voice in Ray’s inner ear. Ray might have taken up a new line of work, but money is money, after all, and he was programmed to make a profit. Besides, with his twenty-four-hour memory-tape limits, he sure can keep a secret. When a familiar-looking woman arrives at the agency wanting to hire Ray to find a missing movie star, he’s inclined to tell her to take a hike. But she had the cold hard cash, a demand for total anonymity, and tendency to vanish on her own. Plunged into a glittering world of fame, fortune, and secrecy, Ray uncovers a sinister plot that goes much deeper than the silver screen–and this robot is at the wrong place, at the wrong time. It sounds awesome. It is awesome. Ray Electromatic is a really fun concept of a character. He feels like a classic hard-boiled detective that just happens to weigh a ton and has to be careful about sitting on bar stools so he doesn’t crush them. Ray’s accompanied by his handler Ada, another robot whose sense for profit would make a Ferengi blush. They make a good team and it’s nice seeing her being the brains of the operation, as opposed to just being a secretary or receptionist. I will also say that I loved the backstory of how they came to be the only robots left around. It’s an explanation that makes absolute sense and plays on our fears of automation technologies quite well. The story itself is a fun mix of Hollywood (done justice here), Russians and secret plots that probably would have held appeal to the Soviets if only the technologies had ever come into existence. One of the things I especially enjoyed is how radiation played a large part of the story, but its detection made perfect sense – a good use of the robotic nature of our protagonist that shows some forethought on the part of the author: he’s not just a robot to be a robot, the story works <i>because</i> he’s a robot. Finally, because I usually gripe about brevity in genre, I want to hold this up as an example of brevity done right: world building is complete, Ada and Ray feel fleshed out given the constraints of their nature, and the plotting is tight and moves along at a good clip while feeling fleshed out. It’s just the right length. This is a well-crafted fun read. If the premise calls to you, pick it up. You will have a good time. I’ll let you in on a secret: writing a year-end Best of list is harder than it seems. Oh sure, there are a few books that you know will be on the list without a doubt, but for every one of those, there are one or two where you think that maybe will be on there, but then with hindsight you realize that while that book was good it wasn’t as great as you thought which makes rounding out that list tough. And that’s where I’m at now: trying to round out my list as we rapidly approach the end of the year. I bring this up because for a while I was debating putting Dark Currents on the list. I liked the world building and the characters and was excited to read this. That excitement held through the first half of the book and then eventually petered out. Is that previous book still worthy of placement if the series falls off almost immediately? My problem with this book comes from its bi-plot nature: the first book which focuses on Daisy’s relationship with Sinclair and general duties as Hel’s Enforcer. Come midpoint, we finally meet Sinclair’s mother, she unleashes said spirit magic and things devolve into somewhat generic novel about the dead causing issues. Meanwhile, we literally never see his mother again, meaning that her very existence was to set up the second half of the book, and that’s it. That’s the very definition of cheap writing. Why go to the bother of introducing the characters and setting them up as the bad guys to summarily dismiss them? Why couldn’t Carey have found another towns person to unleash the magic? The book covers the period of Halloween, it would have been easy enough to have dumb kids disturb the dead and it would have felt a lot less forced. I feel like I’m seeing a real and notable trend in Carey’s books: she creates amazing worlds and sticks some fantastic people in them…and then can’t really figure out where to go from there. The first three Kushiel books all had variations of Phedre being held captive and being used by her captors to varying degrees. The second three Kushiel books used magic to varying degrees of success and here the book really does derail when we lose the characters to focus on the plot. In this case the plot isn’t terrible, it’s just generic. We’ve been there before and it’s just not that interesting and not really what I want to be reading. That being said, there are some things that I liked: I did like how the relationship between Daisy and Sinclair was handled. It was surprisingly mature and realistic in a genre that tends to go for rom com tropes or endless romantic angst in the ‘will-they-or-won’t-they’ sense. I like how Cody the werewolf is written in such a matter that you know that he is 100% serious when he says he’s going to marry another wolf, and that he’s not just going to toss that aside because Daisy is the heroine. The side characters here for the most part are quite likable, from Stefan and Cooper the Outcasts to the Fabulous Casimir the head of the local coven and dealer of magical knick-knacks. It’s not all perfect . One character gets turned into a vampire (willingly) and the character does a complete 180. I get the motivation behind the heel-toe but it also doesn’t seem believable. At least, not as fast as it occurs. As much as I complained about series like The Others being a bit too much character driven, I kind of wish that had been the focus here because that’s honestly where she shines. When she gets away from it, you realize how mundane Pemkowet really is, and that’s a shame. Finally, I did go ahead and read some spoiler-filled reviews of the final book of the trilogy and I’ll just say that it was wince-inducing and the kind of thing that makes me absolutely NOT want to read it. I ignored that feeling during the second Kushiel series and regretted it, I won’t make that same mistake again. I will also mention that the last book keeps up this sense of it being two books in one, as many reviewers stated that the first and second half of the book don’t feel related, but more like novellas mushed together. That’s not a good sign. As comparatively short as the books are, she should be able to manage a single plot all the way through. Verdict: A weak Borrow It – if you like the world, there’s still something here for you, but maybe not as much as you might like. But news has spread that the Marad–an unbalanced terrorist group determined to overturn harmony in the Galaxy–could strike any House at any moment. Now Rho must embark on a high-stakes journey through an all-new set of Houses, where she discovers that there’s much more to her Galaxy–and to herself–than she could have ever imagined. When Romina promised me an ARC of this book, I was so excited that words were hard pressed to convey it. And yet, even within all of my excitement, there was that voice in the back of my head that kept saying what if it isn’t as good. Thankfully, I can tell that voice in my head to shut the eff up for good. Wandering Star was every bit as good. In fact, it’s better. In a private Twitter conversation, Romina mentioned how much she loved this book, and that love absolutely shines through the page. The worlds that make up Capricorn, Sagittarius and Taurus brim with creativity and feel completely distinct from one another. There’s the way the Capricorn sends messages via holograms in the sky and eat communally with bring-your-own-plates-and-silverware whereverr you’re going to Sagittarians traveling by cannon (!) and more Heart puns than you can count in The Heart of Taurus. Honestly, I can’t remember when a novel in this genre felt almost like a travelogue. It was so vivid and so detailed that it made me wish I could go into Space and see these places for myself. 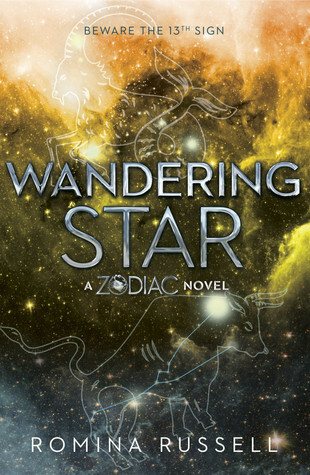 Wandering Star takes a turn to being a more character driven novel, a change I whole-heartedly endorse. Throughout the book we see Rho questioning who she is and how her relationship with her mother and her brother defines her. We get this wonderful doomed romance between her and Hysan. Even as I kept rooting for them to get together, there was this beautiful air of star-crossed lovers/doomed romance that gave their relationship this bittersweet feeling that far too many YA authors are afraid to approach and depict in their novels. Speaking of characters, you see many returning favorites here, and even several fun new ones, such as Miss Trii, a robot built by Hysan that will make anyone with a Jewish mother smile whenever she is on the page. Finally, we have the plot itself: the interplay between Orphichus and Rho is really interesting to watch, as is Rho’s interactions with the wider Zodiac. While the themes of the plot aren’t exactly new (see any other number of YA novels and especially dystopias that embrace the ideal of embracing yourself for who you are instead of trying to fit in), the take on it is interesting and fresh enough to remain compelling. As before, there are moments are tip-toe to the line of being preachy, but always manages to back away at that last second. I loved this book even more than I thought possible, and I hope this season sees an uptick in popularity. It deserves more love than it gets. Overall, 2015 has been a banner year for YA sci-fi and this book is helping end the year iwth a bang. Nice Dragons Finish Last is a bit of an odd beast. On the one hand, the genre, the age of the protagonists, some of their actions and certain aspects of the plot 100% would suggest that this book is an adult title. On the other hand, there’s this earnestness, this You Be You / Embrace Who You Are message that runs throughout the book and in a way this sense of chasteness is all very Young Adult. It’s this odd dichotomy that results in a book that doesn’t really comfortable in its own skin, ironically, not unlike its own protagonist. For the record – it’s technically young adult, or so the author claims. It’s a shame too, because Aaron’s big strength – the magic – is as clever as it’s ever been in her other books, and having dragons to play around with as protagonists is kind of fun, even if it doesn’t culminate in anything particularly unique – if we’re honest here, for the vast majority of the story, these could have been some kind of clan of weres or shifters without too much of a noticeable difference. I’ll admit – this book grew on me as I read on and I ultimately did enjoy it. But do I want to keep reading? Do I want to recommend it? I don’t know, probably because I don’t know who I’d recommend it too. I don’t think most UF fantasy fans will like it – there’s too much much YA present. I’m not sure if a lot of YA fans will like it because it mostly feels like an adult novel. Maybe fans of both? There’s a REASON that UF is predominantly in the adult space, you know? So yeah. If you like UF and you read YA, give this a look. Everyone else can probably skip it, though at its permanent $4.99 price point (or free on Kindle Unlimited), it’s a low risk investment if you like the sample chapters.